Residents have raised concerns over parking issues on the waste ground on Smithdown Road between Duddingston Avenue and Cramond Avenue. The ground is currently being used as a parking free-for-all, with no sign of work starting on the ‘Smithdown Halls’ as stated on the signage. Lawrence Brown has requested that extra bollards or railings be installed on the land at the corner of Cramond Avenue and Smithdown Road to prevent it being used as an unofficial car park, endangering people who are walking along Cramond Avenue as cars enter or leave the land. Several residents have raised concerns about the fortnightly recycling box collection, there have been issues with bins and boxes not being returned to people’s properties and occasional missed collections. Lawrence has contacted Enterprise Liverpool to ask them to ensure that recycling bins and boxes are returned correctly to properties. If there is a missed collection, residents can report this to the council by calling Liverpool Direct on 233 3001. Lawrence has also reported a street light which is burning throughout the day on Dudley Road. This should be fixed in the near future. Major resurfacing works are taking place on Smithdown Road from Lodge Lane to Gainsborough Road until 20th March 2013. From 17th February to 3rd March from 4pm each Sunday to 6am the following Monday morning temporary signals will also be deployed. 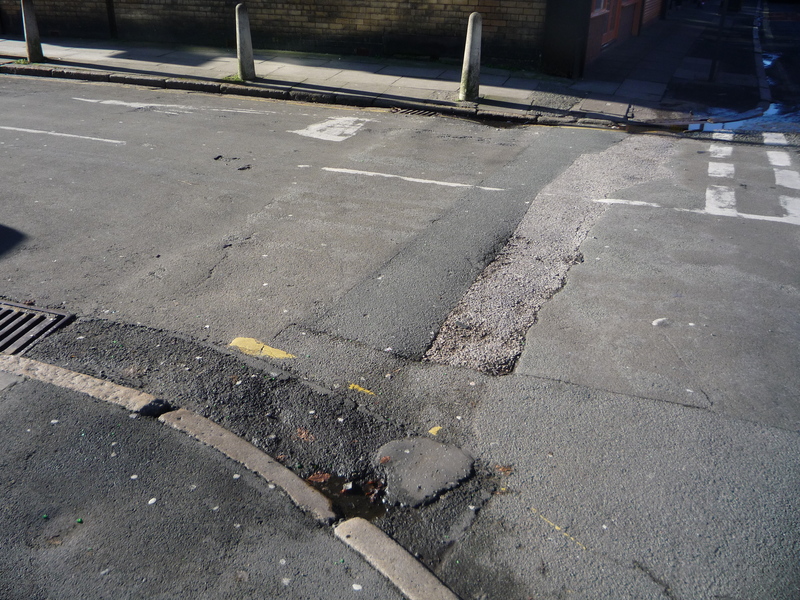 Residents have raised concerns over difficulties turning into Nicander Road from Smithdown Road due to cars being parked on both sides of the end of Nicander Road. The corners of the road do have double yellow markings, although the markings have worn away in patches. Lawrence has taken action on this concern by contacting the highways department of the council to get the markings restored. This should reduce the amount of illegal parking at the end of Nicander Road. Lawrence is also concerned about the congestion caused by cars picking up and dropping off children at Greenbank School. He is urging the City Council, parents, and the school itself to work together to address this issue before a serious collision occurs. Residents have raised concerns with Lawrence about access to their buildings on Croxteth Drive, especially at the busy times of the school day. After following this up with council officers, Lawrence can confirm that new road markings will be installed after the road has been resurfaced, to keep the access areas to the buildings clear. The road is due to be resurfaced in April 2013. 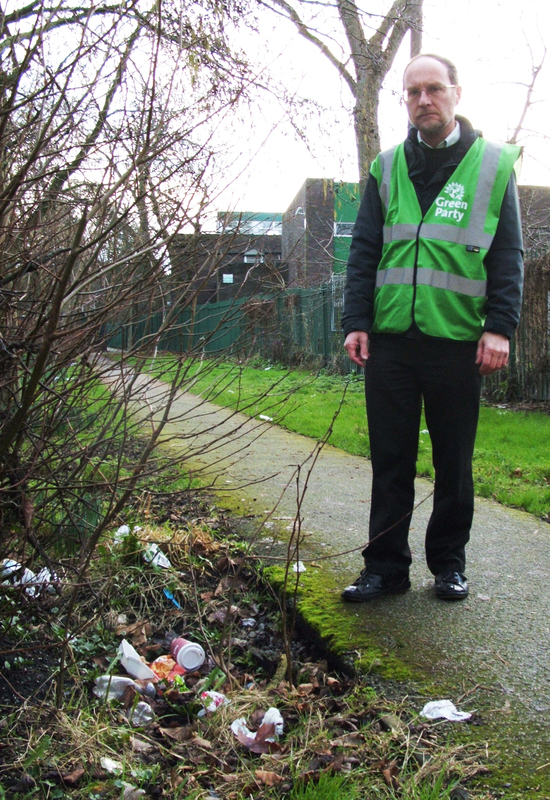 Lawrence has reacted to some residents’ anger about increasing amounts of litter on St Agnes Field (the grassed area between the Croxteth Drive and Ullet Road). 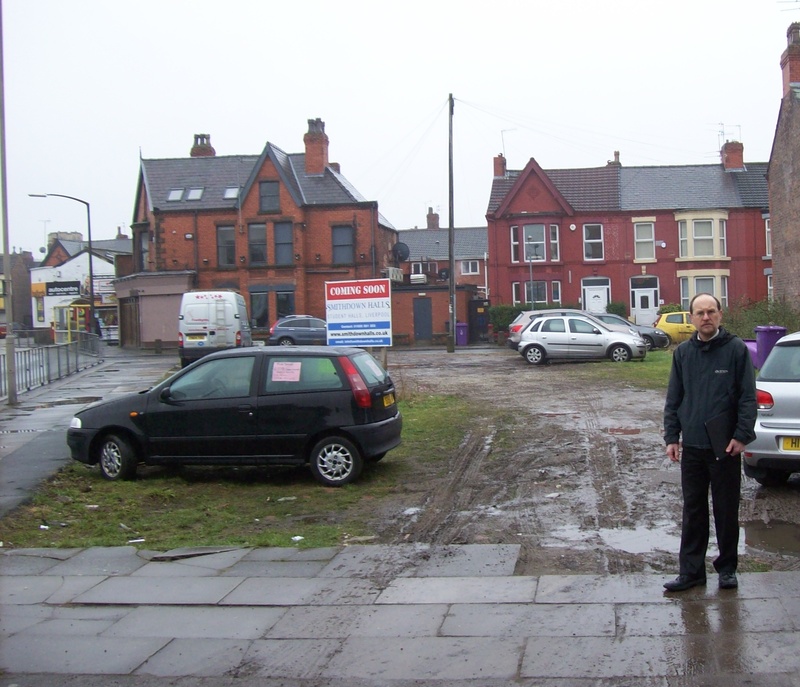 He has written to both the City Council and Enterprise-Liverpool to ask for increased litter cleaning in this area. Lawrence has also asked the council for a litter bin and dog waste bin to be put on the footpath between the school and the field and has written to the headteacher of St Hilda’s School to ask for the children to be told not to drop litter in the area. 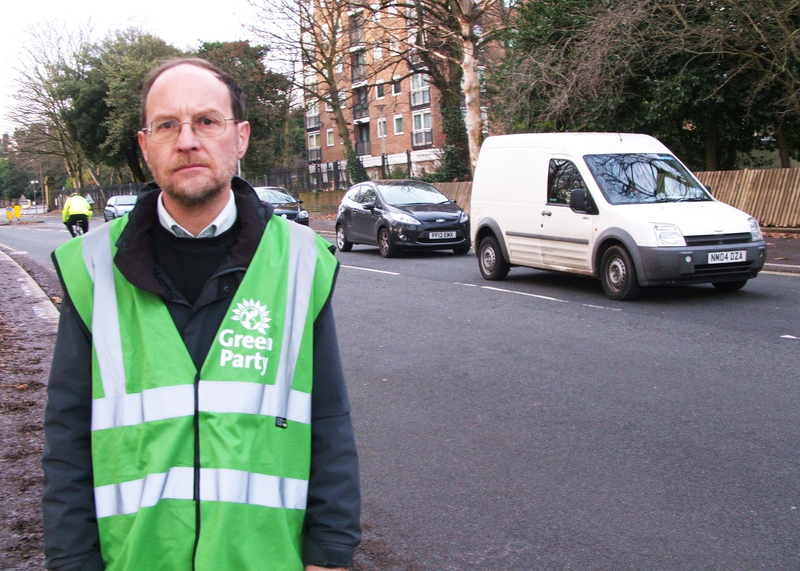 Green Party candidate for Greenbank ward, Lawrence Brown, has joined with Green Party Councillors to urge the City Council to put more measures in place to slow traffic down on the roads around Sefton Park. Councillors from other parties are being asked to support the proposals. Now that the road resurfacing is almost complete, the average speed of traffic is rising and it is only a matter of time before collisions between vehicles and other road users increase. The distance around the park is 2 miles and this is far too great for a few zebra crossings to make a big difference. We need to ban HGVs, narrow all of the wide junctions and implement physical measures such as pinch points to deter traffic from using the park roads as quick short cuts to get from ‘A to B’. – 2 Zebra crossings at Elmswood Road and St Hilda’s School. – Junction at Croxteth Drive/Mossley Hill Drive narrowed. – All wide junctions narrowed to ease crossing for pedestrians. – Slowing measures to enable residents in properties near the park to safely access their homes. – Ban all HGVs except those that have to use the road for deliveries to schools, hotels, etc. – National guidance on changes to road layouts followed. – More provision for cyclists and pedestrians generally.